What is Addiction Recovery Coaching? Addiction recovery coaching involves working with you on a one on one basis, putting together a blueprint to ensure you have a clear plan to follow, and then holding you accountable for sticking with it so that progress and growth is made. Obviously dealing with issues as they come up and making tweaks where necessary is part of it, but it boils down to finding a formula that works for you, and then ensuring you keep working at it. And with each person being different, what works for one might not work for another, so it’s about finding what works for you. How is Recovery Coaching different from Addiction Counseling? Counseling or therapy typically involves rehashing a lot of your past, trying to figure out causes for why you’re struggling with whatever issue you’re struggling with, e.g. addiction, and is generally a long-term process that can take years to show meaningful results or have you feel like you’re making progress. 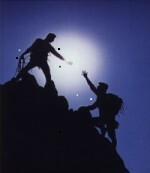 Recovery Coaching is about trying to get clear on what you want from your life, and then putting a strategy in place to help you get there, obviously at the same time dealing with whatever obstacles stand in your way, whether it be an addiction or any other form of self-destructive thinking/behavioural patterns. So I tend to think of counselling as being problem centric whereas coaching is solution centric. They both have their places, but serve different purposes, with coaching being more results driven, rather than talking about your past and problems for hours on end. What Can Recovery Coaching Help Me Achieve? The whole point to recovery coaching is to ultimately empower you with the skills and mindset to leave those addictive tendencies behind you ... as well as to go on and create a successful and meaningful life, whatever that means for you (helping you get clear on that if needs be). But all the while understanding that without your sobriety you have nothing, so making sure your sobriety is the foundation on which you build your life. In doing that, recovery coaching then extends to helping you with other areas of your life that may need attention, whether it be relationships, career, physical and mental health or whatever issue may be important to you and that you want to focus on. Who is Recovery Coaching Suitable For? Anyone ready to make changes in their life and wants help getting what they want, which could mean anything from learning how to live sober, to developing meaningful relationships. The point is you’ve got to have reached a point where you’re ready to make changes in your life, even if you’re not entirely sure what they are. So someone stuck in the middle of an addiction, in denial about their problem, and not wanting to change isn’t going to be ready for coaching. But if you’ve reached the point where enough is enough and you’re ready to DO something, then coaching may just be for you. Is Recovery Coaching Only for Drug Addicts and Alcoholics? No. Anyone is suitable for coaching and in relation to addiction recovery, spouses and loved one’s need coaching just as much as an addict would. Because as a spouse or loved one, you also need to get clear on what you really want from life and what needs to happen for you to get there. As someone close to an addict it’s easy to lose yourself and forget who you are and what you want, so coaching can help you find yourself again and what’s really important to you. The base coaching is four 45 minute phone sessions per month. Phone charges are included in your coaching fee, regardless of where you live in the world. This is supplemented by email coaching at no extra charge, plus the occasional "power or emergency coaching call" (5 minutes) as required. You take on as much homework as you choose, and most of the learning/growth/action/results happens between the calls. Because coaching is about achieving measurable results, most coaching periods last for 3 to 6 months or simply as long as you feel you're benefitting from the process. Some people carry on longer and of course if you feel it's not for you, you can terminate at any time. How is Recovery Coaching Different from Having a Sponsor? A sponsor is there to essentially help you work the 12 steps. Coaching is broader than that because we try and look at your life as a whole, and then help you in specific areas, with recovery just being one of those. One coaching session is $97 (not recommended though because one generally needs more time to making meaningful progress) so we offer discounted rates if you choose to go with a month worth of coaching ($297, saving you $91), and for 3 months of coaching we discount the rate even further to $750 (saving you $414). Contact us using the form below. If you have any additional questions, feel free to ask. Then it's about agreeing on an appropriate time slot and coaching package you want to get started on - and we're ready to go. It's that simple.